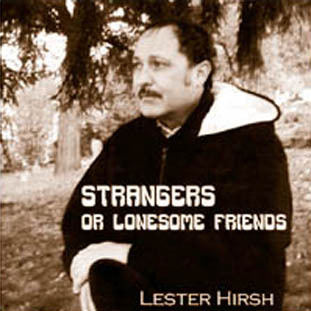 Welcome to Lester Hirsh's Official Website! 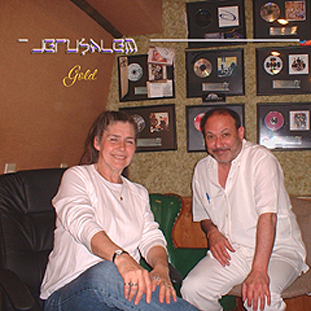 Lester also appeared on the award-winning Big Noise compilation 'Digital Mystery Tour' (Recording of the Year - Phoenix Best Music Poll). 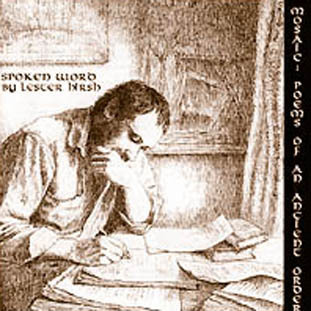 Lester's book 'Lyrics of A Troubadour' has been released. 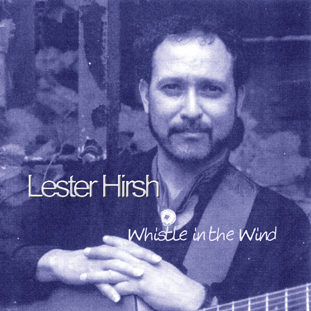 Lester Hirsh is a gifted guitarist, singer/songwriter, and poet. Performing on Spanish 6-string and acoustic 12-string guitar, his style ranges from classical, country, and folk, to Brazilian jazz and Flamenco. 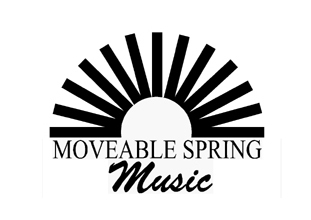 His repertoire includes original compositions as well as standards performed with intriguing percussive guitar riffs and harmonica. 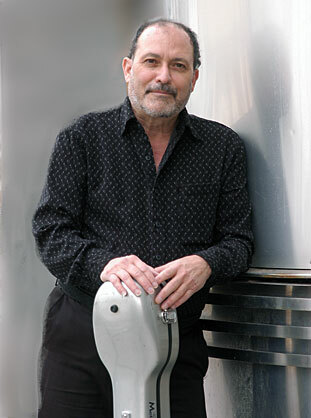 Lester has performed in a variety of ensembles over the past 30 years - folk trio Side Three, Tampa, Florida, folk/pop trio Jerusalem, Williamsport, Pennsylvania, and duo Sweet River, Concord, New Hampshire. During that time Lester also honed his skills as a viable solo artist. In 2002 Lester began to divide time between Concord, New Hampshire and his hometown of Shenandoah, Pennsylvania. From 1985 to 1998 he produced three full-length cassette LPs: 'Part & Parcel,' 'Piper's Dream,' and 'Whistle in the Wind.' This was followed by 'Tales of a Troubadour' in 1994, a 17-song retrospective compilation. 'Piper's Dream' and 'To Have You By My Side,' from 'Tales,' appeared on the Big Noise compilation disc 'Digital Mystery Tour' which received airplay in the US and overseas. In the fall of 1998, the CD 'Sweet Surrender' was released, followed by 'Strangers and Lonesome Friends' in 2003. 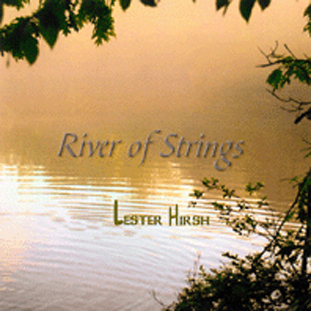 Two spoken word CDs, 'Mosaic, Poems of an Ancient Order' and 'Mosaic II, Poems of an Ancient Order' were released in 2002 and 2003 respectively, followed by 'Lester Hirsh Live at the Coffee and Tea Room' in 2004 and the instrumental CD 'River of Strings' in 2006. Lester performs for special needs audiences, artist-in-school residencies, and numerous concert venues. 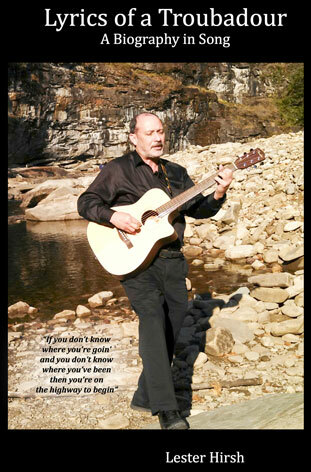 He teaches poetry as well as guitar workshops in community education settings. He is a member of the AIE Roster, Schuylkill County Council of the Arts, as well as the New Hampshire State Council on the Arts.